The much-loved classic series of Ant and Bee books is designed for shared reading fun! First published in 1950, Ant and Bee were in print for over 40 years. 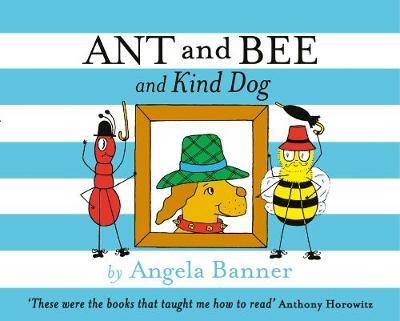 These new editions feature revised text and illustrations by original Ant and Bee creator Angela Banner. The adorably small format is perfect for little hands. Ant and Bee teach children to read via word recognition and encourage story sharing with siblings and parents. Grown-ups read the black words, but the shorter, simpler red words are for young children to call out. These books are for sharing, building confidence and most of all enjoying! Perfect for young children aged 3 and up. Parents and grandparents who grew up with Ant and Bee will love sharing this nostalgic experience from the same era as Ladybird Read it Yourself. Have you collected all of Ant and Bee's learning adventures?